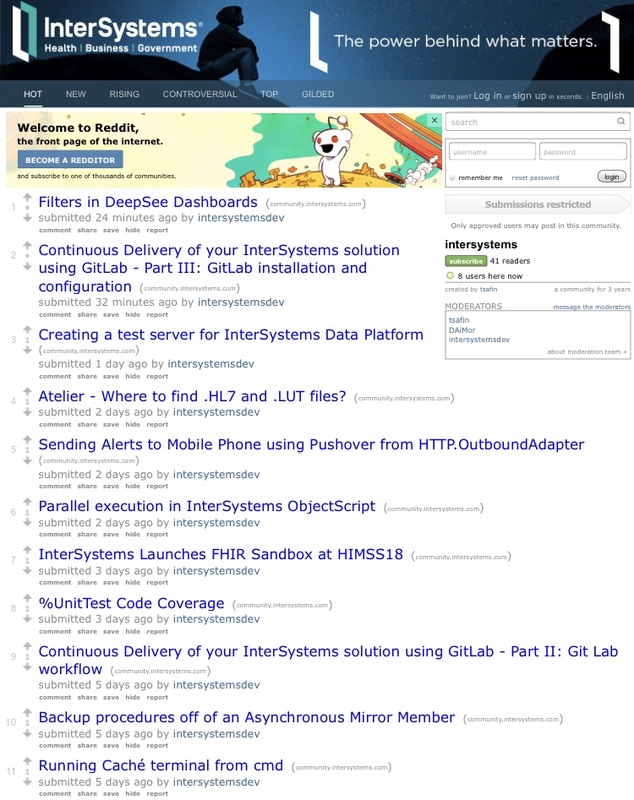 Please welcome the InterSystems Developer Community SubReddit! Here you will find all the most interesting announcements from InterSystems Developer Community, i.e. useful articles, discussions, announcements and events. — is a social news aggregation, web content rating, and discussion website. Subscribe to the DC SubReddit and maybe it will become one of your favorites!